The Minister of Women Affairs and Social Development , Sen. Aisha Alhassan, on Saturday said the Chibok girls were ready for academic session in September and pleaded with abductors to release the remaining girls. 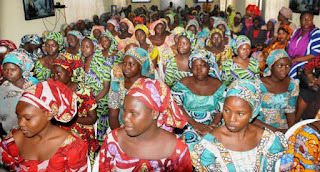 Sen. Aisha Alhassan disclosed this during a lunch with the released Chibok girls and their parents in Abuja. Sen. Aisha Alhassan said that the girls were properly examined academically, adding that they started a foundation courses for them. She pleaded for the release of the remaining Chibok girls and others in captivity, adding that the abductors should dialogue with government.